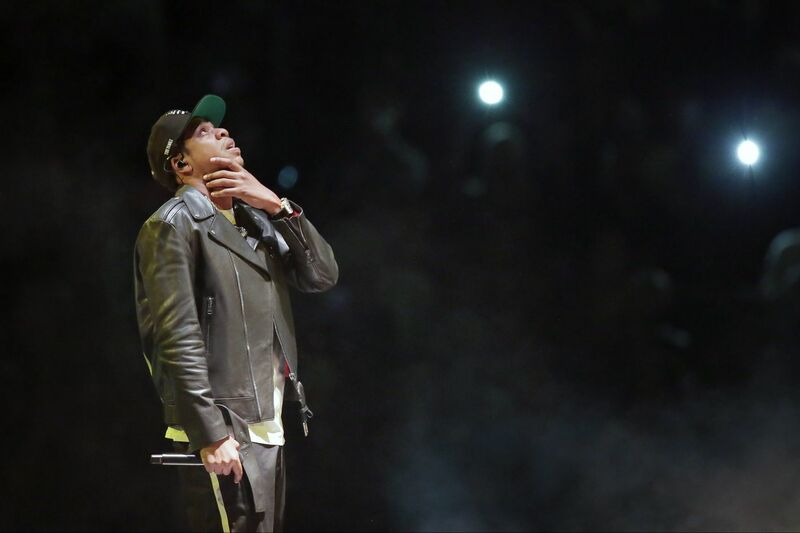 Jay-Z performs at the Wells Fargo Center in Philadelphia on December 1, 2017. The Made in America festival is a multicultural platform that represents strength, freedom of speech, and perseverance for artists and music lovers. Philadelphia, an iconic city, represents those ideals. The location is integral to the pulse of the festival. The [Benjamin Franklin] Parkway is a cultural arts center that is symbolic to the more than 600 artists who have performed at this event. The Parkway captures the freedom and spirit of inclusivity that drew us to the City of Brotherly Love. The celebratory nature and essence of this festival has inspired locals as well as visitors from across the nation to enjoy Labor Day in Philadelphia. We are disappointed that the mayor of the city of Philadelphia would evict us from the heart of the city, through a media outlet, without a sit-down meeting, notice, dialogue, or proper communication. It signifies zero appreciation for what Made In America has built alongside the phenomenal citizens of this city. In fact, this administration immediately greeted us with a legal letter trying to stop the 2018 event. Since 2012, Made in America, one of the only minority-owned festivals, has had a positive $102.8 million economic impact to Philadelphia, and the festival has paid $3.4 million in rent to the city. Made in America employs more than 1,000 Philadelphians each day and 85 percent of our partners are Philadelphia-based companies. We have studies and reports that prove the festival significantly contributes to Philadelphia's tourism bottom line. We cannot comment if the mayor has reviewed any of these materials. We consider this stance a failure on the mayor's part. Is this an accurate representation of how he and his administration treat partners that economically benefit his city? Do they regularly reject minority-owned businesses that want to continue to thrive and grow alongside his city's people? In addition to contributing to Philadelphia, since its inception, Made in America has donated $2.9 million to the United Way of Philadelphia and Southern New Jersey. Cause Village, the festival's philanthropic footprint and hub for social action, averages more than 15,000 social actions taken over the [festival's] two days via ongoing partnerships with more than 56 charitable and activist organizations representing all causes. How does an administration merely discard an event that generates millions in income and employs the city's people as if we are disposable now that we have served our purpose? The city is right in one respect; the first Made in America festival took place when there was a great need for tourism. By their admission, the festival first started as a "unique attraction to the city on an otherwise quiet Labor Day weekend. Over the years, tourism has grown overall." Our question is, "How do you think that tourism grew, Mayor Kenney?" We will discuss our options internally and handle accordingly. Jay-Z is a rapper, entrepreneur, and founder of Made in America.